The Estate recognises the importance of its relationship with its tenants. 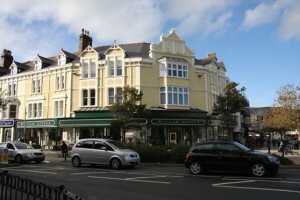 From its offices in Mostyn Street, it is able to understand at first hand, the issues and opportunities relevant to the business community and residents both within Llandudno and the surrounding area. The office is often a first port of call for businesses wishing to set up within Llandudno, and the Estate welcomes the opportunity to discuss plans and offer practical advice on real estate matters. Please do not hesitate to contact us should you so wish and we will do our best to help you.